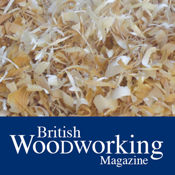 British Woodworking celebtrates everything great about woodwork in the UK. We feature useful project ideas and expert techniques, and the best of British innovation, craftsmanship, timber and toolmaking. We test the latest kit from the UK and abroad, promoting tools and machines that are Made in Britain. You’ll find plenty of tips from professional woodworkers and details on how to join a course plus regular articles on getting started.